Remember this news about four day test match a while back? Just today I came to know that two top South African players have opposed this idea. 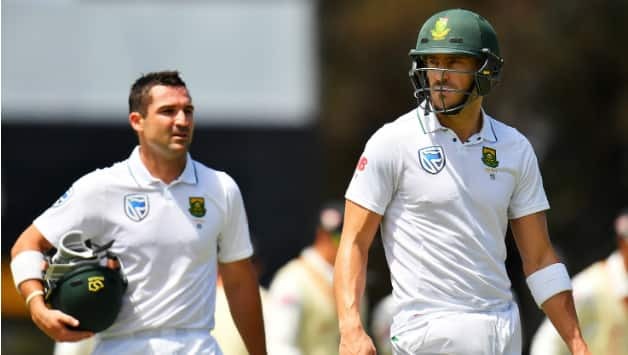 They are captain Faf du Plessis and batsman Dean Elgar and both are important members of their test team. Actually what happened is their board didn't properly consultÂ them before announcing this decision so now they say "NO". Although reluctantly they agreed to it previously on the condition that ICC must give go ahead. Quote: I am a fan of five-day Test cricket. I believe the great Test matches have gone to the last hour of the last day on day five. That's what is so special about Test cricket. In four-day cricket or first-class cricket, it does feel easier because there are only four days. For five days you have to graft it out. Bowlers have to bowl a lot more and batters have to construct much bigger innings. This Test proved that a day five was needed. If it was a rain-off yesterday, it would have been very disappointing so I am a fan of that. As they saying goes if it ain't broke, don't fix it so I don't see anything wrong with test cricket right now so there is no need to do "chair chaar" with it. this doesn't look like big deal to me because all depends on ICC, If they say yes then everyone will play! (10-03-2017, 09:31 PM) hamdan73 Wrote: this doesn't look like big deal to me because all depends on ICC, If they say yes then everyone will play!